On August 19, 2014 at approximately 11 p.m., a Roanoke Detective Sergeant observed an individual walking in the area of the 4700 block of Williamson Road NW. 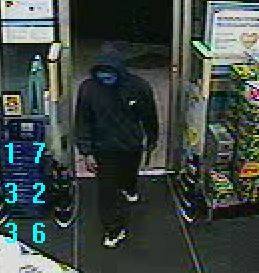 The individual matched the description of a suspect involved in an attempted robbery at Walgreens on August 18, 2014. The detective conducted a field interview with the man, and identified him as Samuel Cleophus Burton, age 18, of Roanoke. Burton provided information and then left the area. A more detailed follow up on Mr Burton revealed that he was wanted on multiple outstanding warrants out of Danville, Virginia . The detective and officers again approached Burton and placed him into custody for the warrants. During a subsequent search of his residence, officers discovered evidence linking Burton to the attempted robbery at Walgreens. Burton was charged with one count of attempted robbery and one count of using a firearm in the commission of a felony. Detectives had previously suspected the Walgreens robbery suspect was connected to a robbery at the Second Alarm Sports Bar that occurred on August 6th. 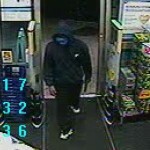 When he was interviewed, Burton admitted to both robberies. The Second Alarm robbery is still under investigation and charges are pending. He was taken to Roanoke City Jail.